From the May 2013 Desktop News | Two publications produced by the College Relations staff were recently awarded top honors at the state convention of the Public Relations Council of Alabama, the state’s primary organization for public relations professionals.  The College of Arts and Sciences Viewbook, which promotes the College to prospective students, and the College’s annual alumni publication, the Collegian, both earned awards, which were determined by an independent review from certified public relations professionals in neighboring states. The College’s Viewbook was created to serve the Office of Student Services and offers a comprehensive view of the College for prospective students and their families. The project was initiated by Dr. Robert Hayes, assistant dean and director of student services, in conjunction with the UA Office of Design and Production, who worked closely with the UA Office of Photography. The aim of the project was to create a publication that would represent the diversity of the College in a unique and innovative way. Comments from the judges included, “The final project is beautiful and eye-catching,” and “You made me want to go The University of Alabama!” The project earned an Award of Excellence. The Collegian is mailed annually to more than 45,000 alumni, faculty, staff, students, and friends of the College. It features stories about the accomplishments of exceptional faculty, students, and alumni in the College as well as stories of generous giving. It was first published in Fall 1986 under College Dean Dr. Richard E. Peck, and was part of a larger campaign to redefine the College of Arts and Sciences at UA as an entity unto itself. The publication earned an Award of Merit. Rebecca Florence, director of college relations and assistant director of development, and Kelli Wright, communications specialist, were presented with the awards at the state PRCA conference in April.